low claims rate. REC’s automated production is state of the art, comparable to automotive industry standard. The high level of automation ensures consistent high quality output. To put this in perspective, out of approximately 4 million solar panels manufactured on a yearly basis, less than 400 return to REC from the field. Same Great Cell, But BETTER! REC TwinPeak BLK Series solar panels feature an innovative design with high panel efficiency and power output, enabling customers to get the most out of the space used for the installation. Combined with industry-leading product quality and the reliability of a strong and established European brand, REC TwinPeak BLK panels are ideal for residential and commercial rooftops worldwide. Want to speak with a consultant about REC Panels? What Makes REC Solar Panels So Good? Third Party Testing. REC products and manufacturing processes are also certified and endorsed by independent third parties according to multiple global and regional industry standards, solidifying the fact that REC solar panels meet the highest quality standards required for a long-lasting product. Protecting you from power loss. 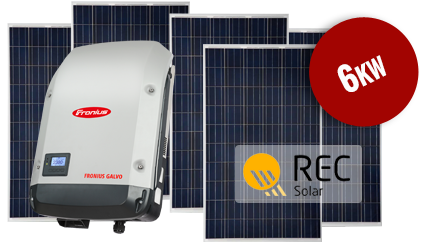 This high level of quality means REC solar panels are also leaders in avoiding power loss due to degradation (LID, PID). By choosing a quality REC solar panel with quality materials, you can be sure to generate more power and thus earn/save more money thanks to reduced degradation. What is LID and PID? LID or Light Induced Degradation. A known but not very well understood phenomenon seen in silicon solar panels is a small loss in power upon first exposure to sunlight. This phenomenon, known as Light Induced Degradation (LID), is generally ascribed to minor impurities and oxygen concentration in the wafer material. It takes effect immediately and stabilizes after the first few days of exposure, but is irreversible in field mounted panels and is therefore a permanent loss of power. What effect does LID have on my solar installation? LID affects every solar panel to different extents depending on factors such as the intensity of sunlight and the wafer type used for the cell. Although it is not practical prior to purchase to test how much a particular panel will be affected by LID, due to REC’s control of production at wafer, cell and panel levels, the effect of LID can be kept to a minimum. How does the effect of LID compare between manufacturers? To assess the impact of LID in leading polycrystalline solar panels, in December 2013, the independent test institute SERIS (Solar Energy Research Institute of Singapore) purchased a number of panels from leading Tier 1 Chinese competitors on the open market and REC in order to perform a comparative analysis of the rate of LID. Prior to testing, panels were flash tested by SERIS in order to measure their actual power. Thereafter they were exposed outdoors to sunlight to an accumulated irradiation of 40 kWh/m². After testing, the results showed that REC panels experience the lowest power drop of all participants and were the only panels to lose less than 2% (Table 1). This excellent performance is credited to the quality of the panel production process, the capability of the machines and the ingredients used to make the wafers. Potential Induced Degradation (PID) is often considered as the most serious degradation threat to a solar power system today. Described in simple terms, PID is a drop in output caused by high voltage, high humidity and high temperature environments. In a solar panel, voltage differences can occur between the frame and the solar cells, leading to the unwanted leakage of current. The industry journal Photon reported in December 2012, that leakage due to PID can result in losses of 20% or more. Any losses are exacerbated by hot and humid conditions – making PID a particular concern in tropical and sub-tropical regions such as the South East Queensland. How does the effect of PID compare between manufacturers? panel is PID-free or not. ALL REC Solar Panels are PID free. REC certified installers – Providing benefits to installers and end customers, REC offers a unique certification program for solar installers that allows them to be designated “REC Solar Professionals”. Knowing that not only is the solar panel of a high level of quality, but that the person installing it is also highly skilled and has been trained by REC, gives end customers added peace of mind. For our installers, the REC Solar Professional program gives them unique benefits and an advantages over other solar installers in their area. Warranty – By becoming an REC Solar Professional, our customers enjoy an extra 2 years on their warranty, instead of receiving the industry standard 10 years, they will now be covered for the full 12 years. This works hand in hand with the 25 year linear efficiency warranty that is already in place.